The project aims to provide a model lexicographic, demographic, and grammatical feature infrastructure, giving users tools to explore Inner Asia, its individual languages, and their contact and change. The con­ver­gence of unrelated languages in Inner Asia is as striking as that of the Balkans, yet the fea­tures of the area’s languages have hardly been compared. The area remains largely undocu­men­ted as a Sprach­bund. Since most of the relevant Inner Asian languages are endangered, we have a nar­row tem­poral op­portu­nity in which to understand these interactions, in order to contribute to typological and contact theory. 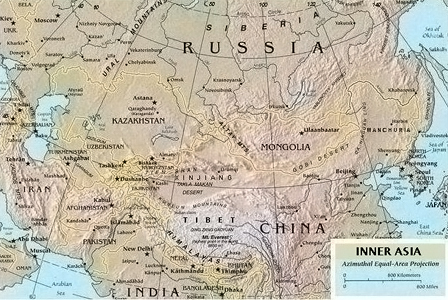 The project focuses on seven languages in one part of Inner Asia: the upper Yellow River littoral area. The focus languages include five endangered languages - Salar (ISO 639-3:slr, Turkic), Baonan (peh) and SE Monguor (mjg, Mongolic), Wutun (wuh, Mandarin-Tibetan creole), and Kangjia (kxs, Mongolic-Sinitic) - and two areally dominant languages, Northwestern Mandarin (cmn) and Amdo Tibetan (adx). This website will pro­vide descriptive pages and typological analysis for these languages. The focus languages are key to under­standing historical develop­ments in Turkic and Mongolic, and they preserve a number of archaisms. The languages are also impor­tant for understanding language contact processes, by comparing convergent and divergent processes with demographic, sociocultural, ecological, and typological data. The project has two interrelated objectives: to produce a database-backed website on the Inner Asian Sprachbund languages, and an etymological dictionary of the Salar language. The website will be a major online resource of a linguistic area, containing grammatical sketches, maps, comprehensive comparative lexical and grammatical features databases, and a discussion wiki. 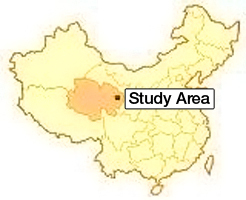 This website will also pro­vide some descrip­tive information on of the broader Inner Asian region of Inner Mongolia, Chinese Tur­kestan, and Tibet. Later phases include expanding the collaboration to include many more Inner Asian scholars, and to expand the database to in­clude other endangered Inner Asian Mongolic (N Monguor (Tu) [mjg], Baonan [peh], Dongxiang [sce]), Shera “East” Yugur [yuy]) and Tur­kic languages (Sarig “West” Yugur [ybe]); other (semi-)dominant languages, Uyghur [uig], then Kazakh and Kyrgyz.